Next time you’re in the mood for tater tots, skip the potato ones and go for cauliflower instead! 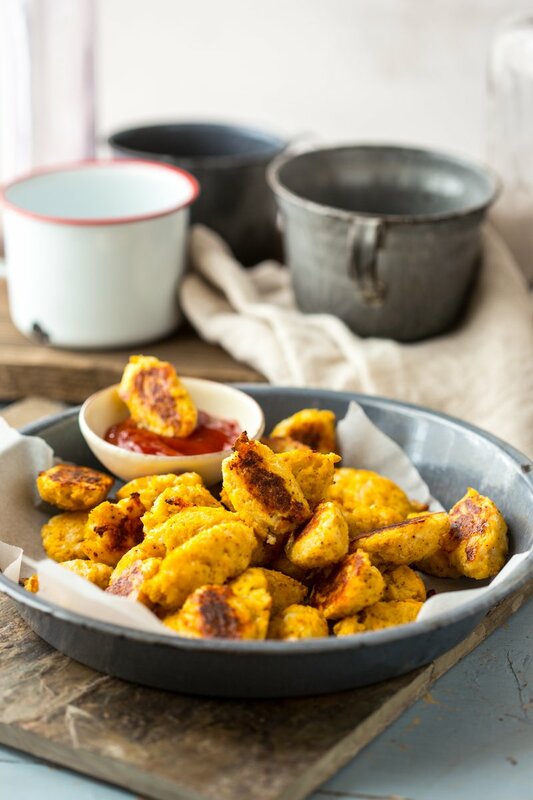 In this recipe, cauliflower is beautifully seasoned with garlic powder, salt, pepper, and paprika, and then combined with our Cabot Sharp Cheddar to make some super delicious cheesy cauliflower tater tots. Give this recipe a try and share it on Facebook, Pinterest, Instagram, and Twitter with family and friends. Ready to make these flavorful little bites? Start by coring one head of cauliflower and cutting it into florets, and then process it in a food processer until the cauliflower resembles fine rice. Next, steam the cauliflower in a large saucepan with a cover until the cauliflower is very soft. After letting cauliflower cool for approximately 30 minutes in a colander lined with a clean linen towel, remove excess moisture from the cauliflower (see specific instructions below). Whisk 1 large egg with garlic powder, salt, pepper, and paprika in large bowl, and then stir in cauliflower until combined. 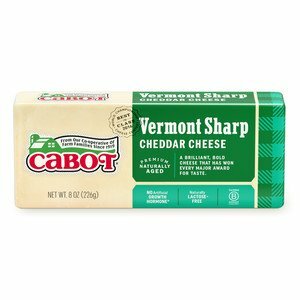 Stir about 1 cup shredded Cabot Vermont Sharp Cheddar to combine. Preheat oven to 400°F and line 2 baking sheets with parchment paper that has been lightly misted with cooking spray. Form the cauliflower into little football shapes, as explained below, and then arrange them evenly on the baking sheet. Bake for approximately 15 to 18 minutes, until the bottoms are browned and the cauliflower mixture has set up. Let cool for about 10 minutes and dig in! Want another tasty cauliflower tots dish? See our Baked Cauli-Tots for a light yet filling snack for the entire family. 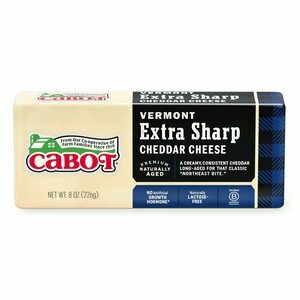 Did you know that Cabot is a cooperative of over 800 farm families, bringing together many generations to produce milk that makes only the best dairy products for you and your family? We only provide you with our best recipes, so you’re sure to love what you make. We’d love to hear your feedback on these cheesy cauliflower tots so please rate and review it once have the chance! CORE cauliflower and cut into florets. Process in food processor fitted with the steel blade attachment, in two batches, until the cauliflower looks like fine rice. PLACE 3 tablespoons water in the bottom of a large sauce pan. Add the cauliflower mixture. Cover and steam over medium heat, stirring occasionally, until the cauliflower is very soft, about 6 minutes. LINE a colander with a clean linen towel. Scrape the cauliflower mixture into the towel, and let sit to cool, about 30 minutes. Wrap cauliflower up into a bundle, and then squeeze bundle from the top down to remove the excess moisture from the cauliflower. Continue squeezing until the cauliflower is about half its original volume and you’ve squeezed off about 1&frac13; cup of liquid. WHISK egg, garlic powder, salt, pepper and paprika in a large bowl. Add the cauliflower and stir to combine. Add cheddar cheese. Stir to combine. PREHEAT oven to 400° F. Line two baking sheets with parchment paper. Lightly mist parchment with cooking spray. FORM cauliflower into little football shapes by scooping back and fourth between two soup spoons. ARRANGE tots, evenly spaced on baking sheet. Bake until the bottoms are browned, and the cauliflower mixture has set up, 15 to 18 minutes. Let cool 10 minutes before removing the tots from the parchment with a thin spatula. Absolutely Delicious! My family loves this recipe. I make it all the time. Sometimes I switch up the sweet paprika for smoked paprika....great both ways. I would highly recommend. My entire family loves this recipe and it is extremely easy to make.